This wall unit combines modern styling with a rustic, retro look. Black metal wall shelf that is perfect for display and storage. Ideal for the bedroom, living room, hallway or bathroom. 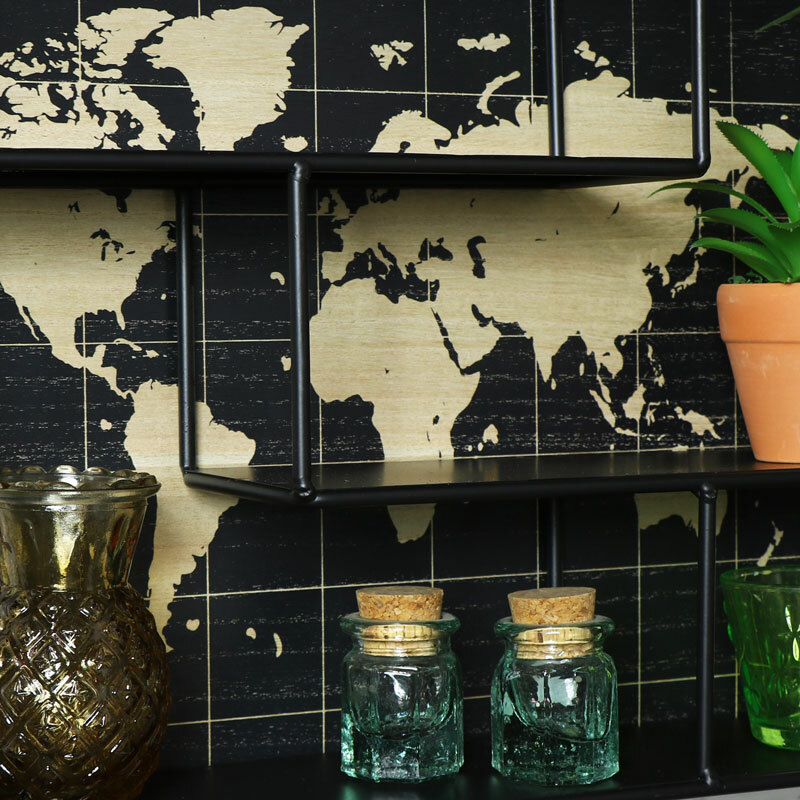 Four shelves against a printed background of the world map for a fun and quirky addition to your interior. Use wall mounted or freestanding for a fantastic decorative effect. Perfect for a boy's bedroom. This wall unit combines modern styling with a rustic, retro look. Black metal wall shelf that is perfect for display and storage. Ideal for the bedroom, living room, hallway or bathroom. 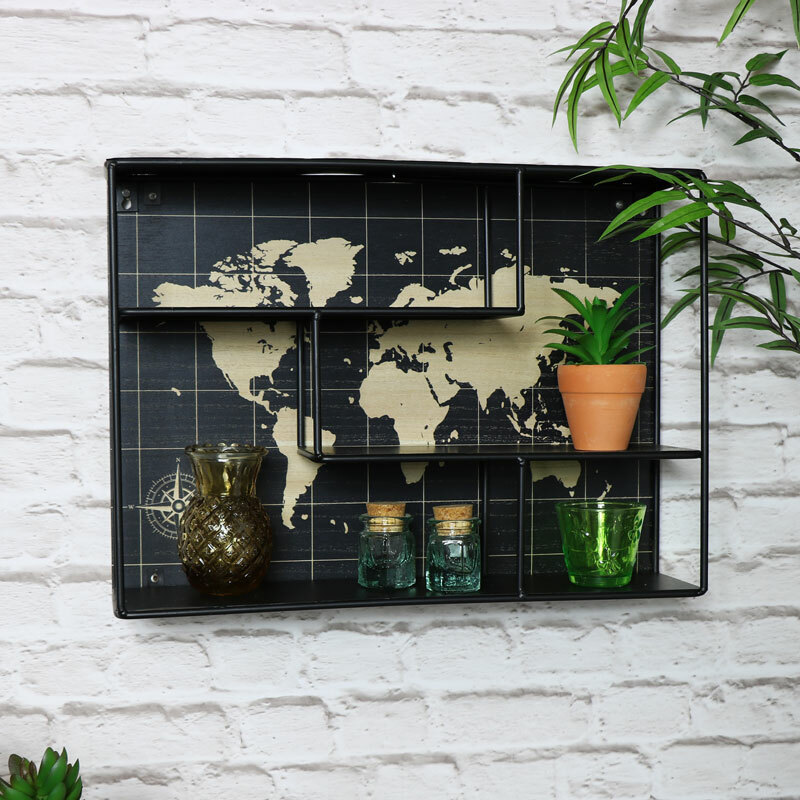 Four shelves against a printed background of the world map for a fun and quirky addition to your interior. Use wall mounted or freestanding for a fantastic decorative effect. Perfect for a boy's bedroom. Metal frame in a black finish with world map printed on a wooden back. Easily wall mounted with 2 holes on the back for hanging on wall hooks or screws. With som many shelving idea to choose from, you can pick the style and size to suit you.